Here is a draft proposal requesting use of the Hyak SnoPark structure and for placing a tent on the Ironhorse. Board members please add your comments in CAPITALS with your name, if you approve, please add APPROVE in caps with your name at the top so we can track approval. IT LOOKS GOOD, I SAY GO AHEAD AND I HAVE NO COMMENTS TO ADD. CHRIS Q. The goal of this application is to request temporary use of the Washington State Parks Dept. residence at Hyak, for use by the Snoqualmie Nordic Club (SNC), a non-profit cross-country skiing club. Below is a brief history of our club, specifications of our request, a justification for the request and reasons why cooperation with SNC can benefit the Washington State Parks Department. 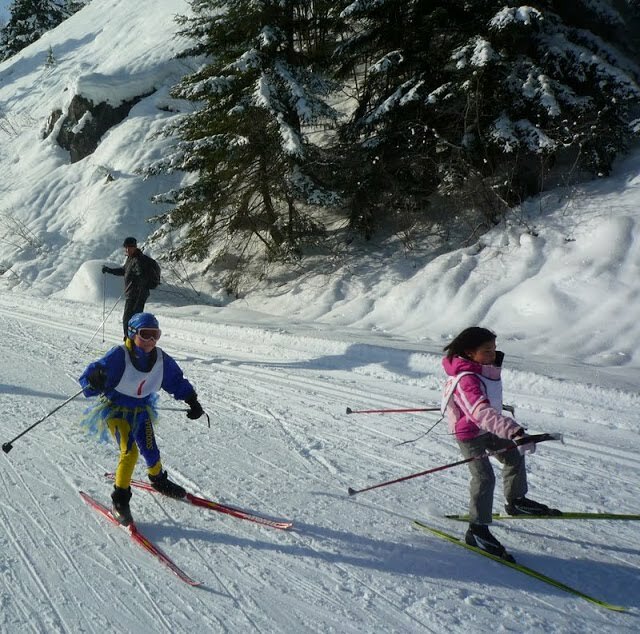 The SNC, founded in 1997, was formed to develop and assist Nordic skiing in the Snoqualmie Pass area. The club is a non-profit organization (registration number ?) and is registered with the State of Washington and the United States Ski Association. 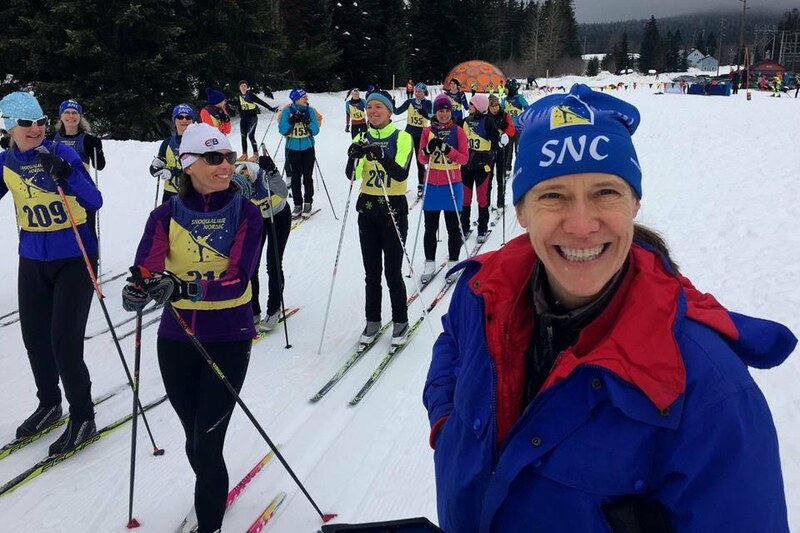 SNC members coach and instruct cross-country skiers in the Pacific Northwest region, create opportunities for SNC members of all ages to improve their skiing, and encourage each other to engage in races and recreational skiing throughout the region. The SNC is comprised of members of all ages from throughout the local area and maintains an open membership policy. Currently, the SNC roster contains approx. 50 single adults and/or families equating to approx. 100 total members. The backbone of the junior winter program is the Team Nordic program. The SNC schedules additional workouts for competitive skiers on and off the snow throughout the year. Junior members have competed regionally in PNSA (Pacific Northwest Ski Association) junior qualifying races for several years. 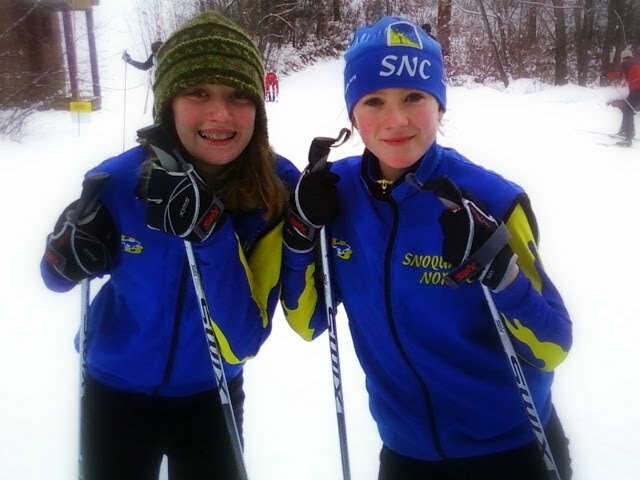 Snoqualmie Nordic Team has had qualifying members competing in Junior Nationals each year since 1997. Active club member recruitment takes place through informational meetings with youths involved in rowing, Boy Scouts of America, YMCA (YMCA-sponsored youth exposition day) and other youth organizations. In addition, advertising for club members takes place through school newsletters, articles in local papers (see attached articles), the club’s internet website (www.snoqualmienordic.org), word of mouth and through visibility on the ski trails (club members have easily identifiable club jackets). The SNC requests a temporary permit for use of the Washington State Parks Dept residence at Hyak, located in the South East corner of the Hyak SnoPark adjacent to the Iron Horse trail. o Ideally, the club requests use of the entire structure, consisting of residence and sunroom. Maintenance of structure cleanliness and order would be provided by the club. The club is open to sharing common areas (kitchen/bathroom) of the main residence with a Park’s Department employee should this need arise at any time during the year. o Should the residence portion of the structure not be available, the club requests use of the sunroom. o The club requests use of the structure or a portion of the structure for both winter and summer activities (described below), for the 2006/2007 winter/summer seasons, with the possibility of discussing a longer term relationship. The SNC additionally requests a permit for placement of a temporary structure (f.ex. winter tent or yurt) on State Parks land within close vicinity to the Ironhorse trail, roughly 2 miles east of the Hyak SnoPark lot (will explore and suggest a mile marker location). The use of this structure would be for winter activities (described below) and would be removed the remainder of the year. • SNC has had permission to use a backroom at the Summit at Snoqualmie Old Milwaukee lodge as a clubroom since 1997. Recently, the SNC lost this clubroom due to a re-alignment of the Center’s focus for services offered. We are forced to move with short notice and currently have no facilities for meeting at the Snoqualmie Pass area or for storing club gear. • Bake sale(s) to be arranged somewhere on the trail (pending appropriate approvals) or from the "home" of SNC (whatever the structure ends up being). In Scandinavia skiing to a destination offering treats and warm drinks is a common social activity. The SNC would like to continue promoting this community activity with the cooperation of the Parks Dept. • Continued volunteer efforts such as trail clearing and cooperation with the Parks Dept on activities such as creation/improvement of new trails to link existing trail networks (f.ex. could improve linkage of Ironhorse with Mt. Cathrin loop). SNC believes that cooperation and collaboration between SNC and the Parks Dept will greatly benefit both organizations and the greater Nordic community. 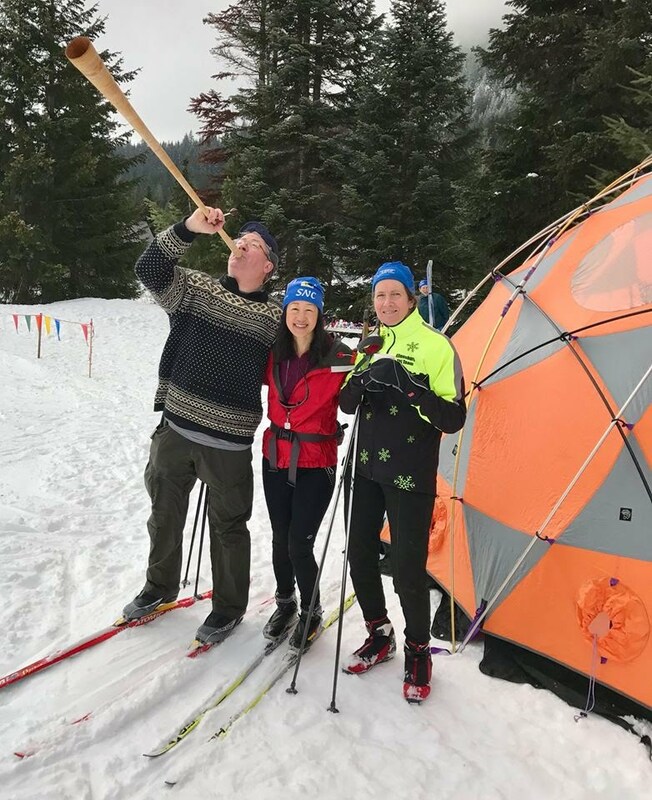 The Nordic community is large and vibrant and stands ready to take advantage of the excellent trails available at Snoqualmie Pass. SNC members seek to actively work with the Parks Dept for the mutual benefit of both organizations. We look forward to hearing a positive response from you. .jpg of Seattle Times article listing club? ?